I’m certain there are a few die-hard BMW fans out there who don’t want to join the race to ‘tech-up’ motorcycling. For them, there’s little interest in some of the German firm’s models like the S1000RR superbike or K1600GT/L tourers which are both brimming with gadgets galore. 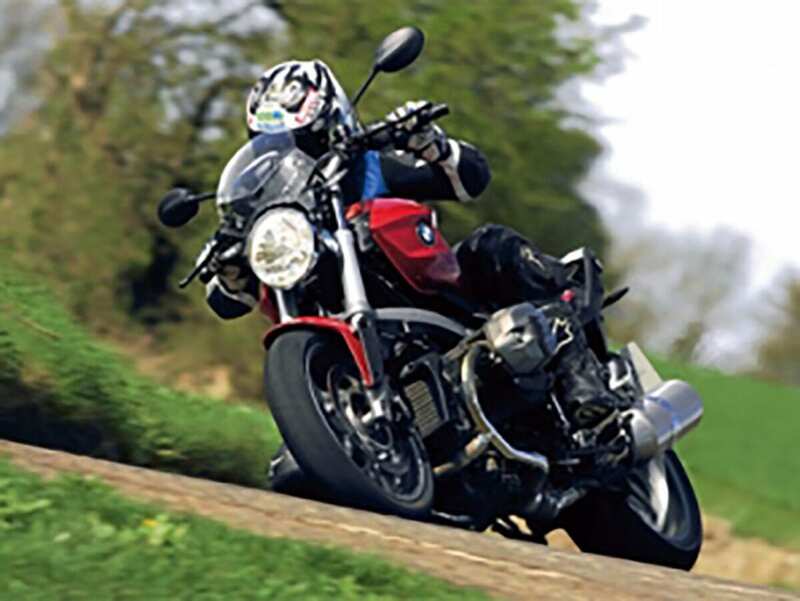 But worry not, riding ‘purists’ (for want of a better term) because here’s some modern inspiration for you – a slightly updated modern traditionalist’s favourite – the R1200R. The naked, twin-cylinder roadster has all the hallmarks of olde-worlde Bee-Ems, which ardent fans of the make will love. A big hit in Europe, the R has become one of the best sellers in the basic-spec naked bike class. Because we in the UK aren’t quite as enthusiastic about it, only around 200 are being brought in. In these days of high-tech and slightly characterless machinery dominating the market, I’d say there’s a fair chance of them all selling. I ended up spending over a week and 500 miles with the BMW on and after its launch. Riding it over a varied selection of roads in differing weather gave me the chance to really get involved with all the nooks and crannies of the modern retro-naked and the slightly quirky, easy-going bike with plenty of personality really did win me over quite a bit. Along some of the finest twisting and undulating routes that Britain has to offer the BMW was spot on. Fun with a capital F and, refreshingly, without many gizmos getting in the way. I can’t say that the weather was anywhere near perfect for a big naked bike, oh boy was it wet… and with its naked design meaning plenty of clothing was needed to stay warm and dry, my mood matched the weather at the start of our time together. However, largely due to the German bike’s agreeable manners and lovely balanced feel, my pessimism soon disappeared. The combination of the excellent roads and the 1200’s sorted behaviour gave me no choice but to enjoy the riding and it wasn’t long before I was giving the retro roadster the thumbs up. A big part of the smiles factor was that big capacity flat-twin motor. Now fitted with the latest twin cam 110bhp engine (the 1200R is the last Boxer-engined bike in the BMW range to feature it) there’s a little more peak power and torque. Just one more bhp and three more lb-ft may not sound like much, but on the road at least, the R feels appreciably more healthy and perky. The twin has still very much kept the character of the older engine and is very laid back and easy-going. Another big plus for lazy rolling on and off the throttle on sweeping B roads. It never really feels rushed. Big gears and low rpm still have the engine delivering decent acceleration and speed, and though there’s good response to giving it some revs, somehow that doesn’t really feel appropriate. Besides, if you try to maintain higher speeds for too long, then the windblast will make life a bit uncomfortable unless you duck down into a more prone position, but that’s not really the done thing on this bike, is it? The only gripe I have with the engine is the twisting motion caused by the crank’s torque reaction when you open the throttle quickly. BMW riders will be well aware of this and to most it’s not an issue. But if you’re a fan of total refinement it might be a quirk that’ll irk somewhat. Although I had enjoyed the day out in the land of sheep and leeks, I was curious to learn more of the bike in better weather, so headed the 100 miles or so home to find better weather. More miles were needed. The instant-tour back to the ranch went well enough, underlining the longer distance potential of the bike. And with the proviso of avoiding body-battering speeds, there’s more than enough comfort for trips of 200 miles, easy. With good fuel consumption of up to 60mpg, a supportive but sufficiently plush seat, and a very relaxed riding position the Bee-Em definitely has some decent touring potential. Fit some of the official aftermarket accessories and there’s no doubt it could be relied upon to cover ground easily and conveniently. Take full advantage of the engine and you’ll notice the R provides solid and predictable handling. Steering is sweet and the brakes are particularly strong and effective. It’s just the crudity of the suspension which can spoil things. It’s not the traits of the Paralever front end I’m referring to (although you will need a little time to get accustomed to this thanks to the absence of dive and slightly reduced feel), it’s more the lack of compliance to rougher road surfaces that occurs when crossing them in a hurry. As I say, it’s only when speeds are higher that this becomes apparent, and manifests itself by giving a choppy ride. Driving hard out of bumpy corners at more acute angles of lean, and the BMW is surprisingly capable of getting right over in the corners, and the rear shock shows its limitations with the rear tyre beginning to skip off the road surface rather than following its contours. To be honest though, you’ve got to be pushing pretty hard to get the bike out of shape and I doubt many of the typical owners of the R1200R will ride like that in the real world. 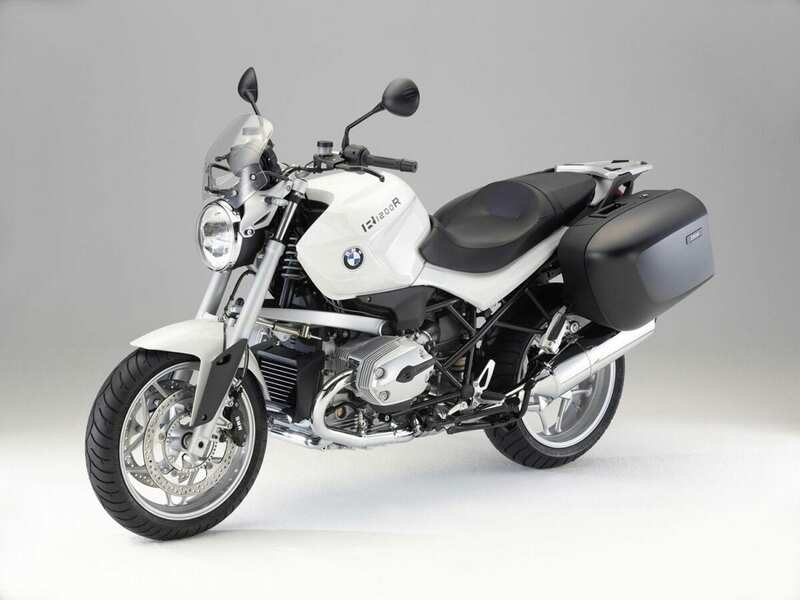 The BMW is plenty refined for the real world riders who will buy it. As it does with many of its press bikes, the importer had added quite a few of the official ‘factory-fit’ options to our test bikes. The ESA (electronic suspension adjustment – £650 extra) strangely didn’t impress me as much as it normally does. Quite apart from not controlling things well enough under extreme pressure, the difference between the softest and firmest settings isn’t sufficiently distinct. And the ASC traction control system (£300) highlighted the crudity of the rear shock’s action by cutting in prematurely when using more of the engine power exiting bumpier corners. More acceptable is the unobtrusive ABS braking system (the best part of £1000 extra) and the sports screen (£170) which helps life a little more at a sustained faster pace. I don’t doubt the R1200R will become a niche bike over here in the UK. But if you like your bikes to have plenty of character, cope easily with a broad range of duties, and please the eye with a rugged, handsome style, then the 1200R is worth some attention. I myself didn’t like everything about the BMW, but when I swapped it for my own relatively lifeless-feeling VFR, it didn’t take long before I started missing the BMW’s personality.